Attracting and keeping good tenants is the key to a successful rental property business. In general, tenants have become more discerning and particular as time has gone on. In many locations it’s a renter’s market and there are many options to choose from. There are things that a renter wants in any rental property they are considering residing in., this is true at any price range and any location. 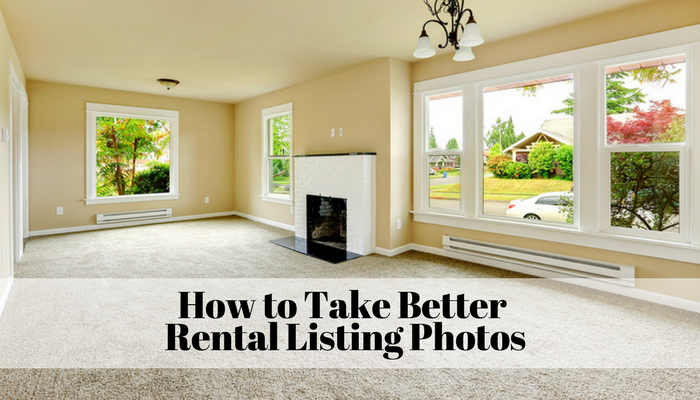 Some of these things are easy for a rental property owner to incorporate or add to a property to attract prospective tenants. In addition, many times adding these features will allow the owner to increase the rental rate. Tenants want to be able to look for rentals online. They also want to be able to apply and sign the lease online from the convenience of there home. With use of a hi-tech property management software program this is all possible. Using property management software that posts rental listings online to a whole host of sites can reach the largest number of prospects. Online bill pay or automated withdrawals from a checking account has also become a convenience that many prospects seek out and like to use to pay their rent. Having the space to store a tenants property is a big concern for many prospective tenants. There are some simple solutions to create more space for storage such as adding some built in shelving inside and in the garage, utilizing attic space in some cases is an option, or simply putting a storage shed on the property are all easy ways to create more storage for tenants. If you own rental property then you are acutely aware of the fact that every piece of real estate requires maintenance, replacing of items as they break, and updating. If you are looking to attract tenants having a home or apartment that is well maintained with modern conveniences is going to get your property rented quickly and you can demand a higher rent. Having a property that is run down or with outdated appliances can deter a lot of excellent tenants and cost more money in lost rent in the long run. Having enough parking available to tenants is another convenience that many tenants have come to demand from the properties that they rent. If you can offer off street parking it’s even better. This issue does not always have an easy solution but sometimes it can be as simple as creating extra parking by rocking the side yard or offering other incentives to offset the inconvenience. Providing a safe place for your tenants to live is extremely important. While it’s impossible to control this factor there are steps that can be taken to make the property more safe. Installing signs, lighting, surveillance cameras, and keeping shrubs small to reduce hiding cover are all ways to increase safety. If the area is known for a high incidence of crime it is important to work with neighbors and the local law enforcement to keep the issue on the forefront. The lease serves as a legal document signed by you (the owner) and every adult tenant residing at the property. It is important that there are some rules to follow written into the lease agreement. Having rules in place, particularly in a multi-unit property will help the prospective tenants understand what is expected of them and other tenants residing at the property. What are some other factors that play into attracting and retaining a good tenant? NextLandlord Screening – Would You Get Approved? One of the seminars I went to suggested offering tenants an upgrade for renewing the lease… ie: a ceiling fan, light fixture. new paint, new carpeting, etc, … something to say thank you, and in reality, any of the items will add to your property value. when a really great tenant told me they honestly could not afford my increase in rent, I negotiated with them …. I have only had one tenant that ever qualified… been with me for 5 years minimal calls for problems, GOTH, but the nicest people, kept the house really clean. Wife went back to school so increase that year was especially tough. We all know what one month of vacancy costs in lost rent as well as turn around costs on the unit…!!! Do the math! Thank you Bonnie for the great comment! You are spot on, having a vacancy is a huge hit to the annual income and should be avoided if at all possible. I think it’s a great idea to improve and maintain the property if you have a great long term tenant that you want to keep.